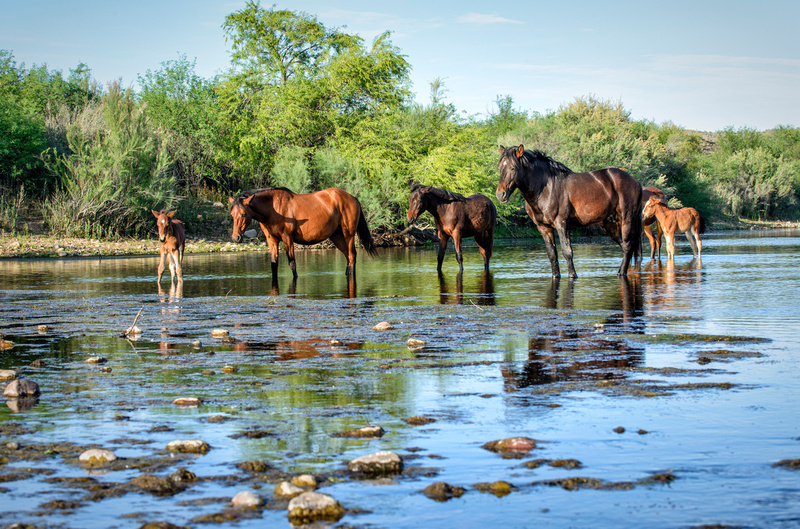 Action Needed for Arizona’s Famed Salt River Horses Who Face Removal From Their Native Habitat! 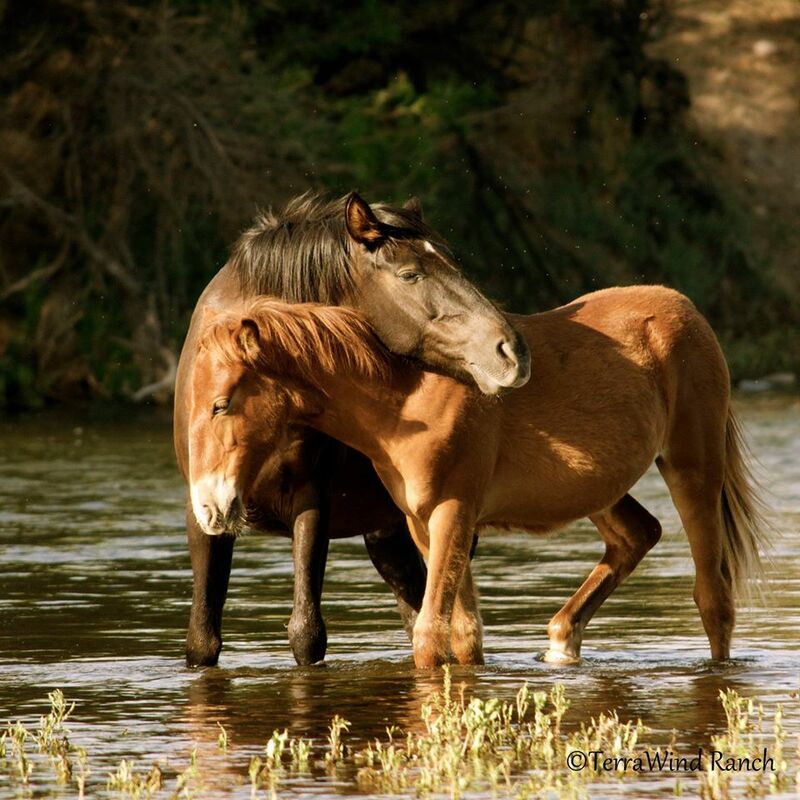 A famed herd of wild horses are facing potential eradication in Arizona’s Tonto National Forest due to the fact that they’ve been deemed “strays” as opposed to “wild,” despite the fact that the horses reportedly have ties to the area stemming back over 100 years. Semantics. It’ll get ya every time. Known as the Salt River Horses, the herd of roughly 500 horses are known to locals and visitors alike for their presence in the area. While debate rages on about how they got there (some say they originated with the arrival of Spanish conquistadors 400 years ago, while the Forest Service thinks the horses have managed to merely wander away from private property over the years), one thing remains certain — people love seeing them when they visit their stomping grounds. The herd was reportedly around 500,000 strong in 1927. This sounds reasonable, except for the fact that there have been no reported human/horse injury related incidents in the area. Sure, there have been plenty of instances when someone drunkenly floated off from their group when the inner tube holding their beer cooler went rogue along the winding river, never to be heard from again, as well as a bevy of other examples of pretty severe safety concerns for the area involving cliff jumping accidents and drownings … but by all means, we should avoid the potential for a horse to maybe, perhaps, possibly kick someone someday. Seems as though worrying about actual danger might make more sense than worrying about possible danger. Which brings us to the crux of the issue. Due to the failure of the federal government to grant this herd a designated wild horse territory, they lack federal protection and are subsequently not defined as ‘wild.’ It’s the belief of the Forest Service that these horses are merely abandoned, domesticated animals from neighboring properties and, as such, they are to be treated like unauthorized livestock who fall outside of their jurisdiction. Basically, these aren’t the Forest Service’s Legos, so they don’t wanna have to pick them up before bed. This isn’t the first time fun with names has created a potentially detrimental situation for animals in the state of Arizona either. A recent bill that would have placed livestock in a classification that no longer recognized them as “animals” was vetoed by the state’s governor after considerable public outcry. It’s like the rules for “Whose Line is it Anyway” down there, where names are made up and reality doesn’t matter. In the case of these horses, it appears that an act of Congress recognizing them as wild and giving the Forest Service the power to oversee them will be the only way to allow these creatures to stay put. Especially after a 50 page Humane Management Proposal presented by SRWHMG was rejected by the service. The Forest Service Plans to remove the horses over the course of this year, beginning with 100 starting Friday, August, 7th. Sadly, the numbers seem to back up Netherlands assertions. Wild horses are routinely rounded up and relocated in the U.S. by the Bureau of Land Management (BLM) in order to keep wild populations down. They’re taken to holding facilities with the idea that they can be adopted out, but not all of the horses captured see that future. It’s estimated that nearly 100,000 of these horses are sent to slaughter annually. The Forest Service has stated via public notice that the horses must be claimed by August 7th, with proof of ownership, or they can be captured, auctioned off and/or disposed of. Public outcry has been swift and furious, with those familiar with the horses taking to social media in an effort to stop the Forest Service’s actions and attending protests in an effort to save these majestic animals. Advocates voiced their desire to see the horses left alone before a press conference in Tonto National Forest. A petition has also been set up at Change.org in an effort to halt the Forest Service’s plans. With over 58,000 signatures in 24 hours, the goal of 75,000 signatures is well within reach. Making your voice heard and letting those in power know that this must change is the most effective way to help these horses as well as those who might find themselves at risk in other parts of the country on our public lands. With the amount of truly wild animals dwindling across the globe every day due to human interference (among many other things), it’s never been more important to advocate for protecting the natural habitats of animals and their right to stay there undisturbed.